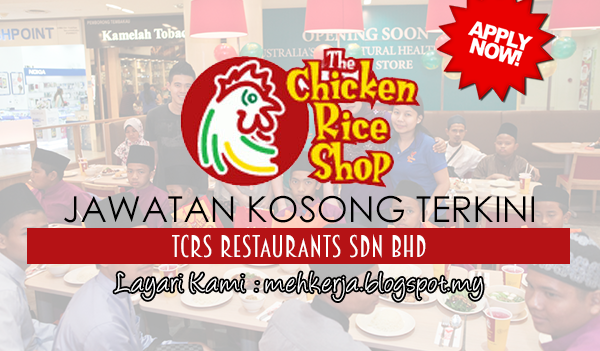 The Chicken Rice Shop (TCRS) is a chain of HALAL family restaurants operated by TCRS Restaurants Sdn Bhd, a company incorporated in Malaysia. TCRS is a quick service restaurant that provides the customer a comfortably cozy environment to dine in as well as convenient take away services for those on the go. We pride ourselves in providing friendly quick service for all our customers. The Chicken Rice Shop also provides catering services for special occasions. HistoryOn 18th June 2000, the first restaurant of The Chicken Rice Shop was opened and the response was overwhelming. Today, there are 49 TCRS restaurants in Peninsula Malaysia; 1 in Kota Kinabalu, Sabah and 1 in Singapore. The Chicken Rice Shop is represented in most, if not all of the major shopping complexes in Klang Valley. With grandmother's traditional secret Hainanese chicken rice recipe brought down from generations and maternal grandmother's treasured recipe from Penang, the best of both grandmothers' recipes were perfected and introduced into the menu. With the infusion of modern management, processes, technology and strategic marketing, TCRS is confident that a truly Malaysian quick service restaurant chain can be established with the prospects of taking it to the world. 0 Response to "Jawatan Kosong di TCRS Restaurants - 25 April 2017 [Gaji : RM1,000-RM5,000 + Gaji 2x Sebulan + Bonus]"